Born and raised in Middle Tennessee, Leigh Achenbach is the owner of Suddenly Simple Organizing. After taking multiple online personality and career tests, Leigh was pleasantly surprised to discover that her organizational skills could actually be put to use in a career as a professional organizer. This calling seemed perfect for someone whose friends describe her as "a planner, an efficiency fanatic, a minimalist and a suitcase packing perfectionist." She later moved with her Air Force husband to the Los Angeles area, working with celebrity clients and honing her craft. Under the guidance of other professional organizers, Leigh was able to make a name for herself, using her expertise to start building a strong client base. So whether you need to get a child's playroom in order, a kitchen decluttered or need assistance with purging before making a big move, Leigh is here to help. As a professional organizer, Leigh and her team hope to relieve the stress and anxiety that clutter and chaos create in a space. Using tailored organizing systems, Leigh knows how to take a room from WTF? to WOW! She is an expert at teaching her clients how to maintain an organized space and offers practical guidance on utilizing bins, baskets, labels and other organizational tools. 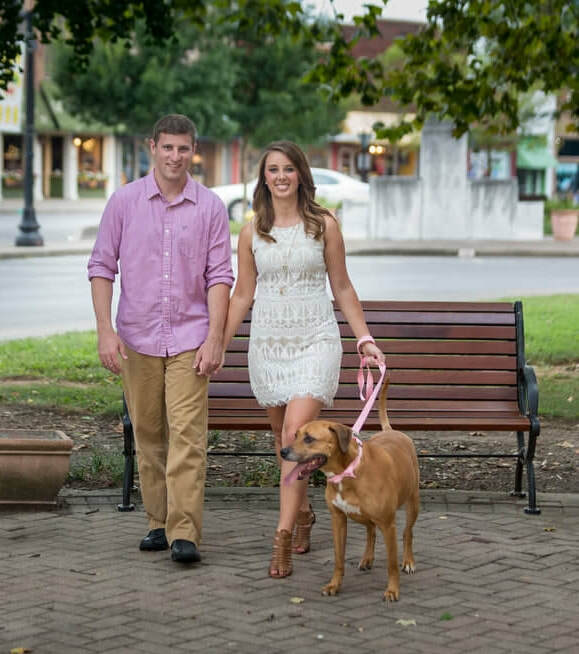 She currently lives in Murfreesboro, TN with her husband Joey and their dog Nala. Her organizing services are offered in the Greater Nashville and Middle Tennessee areas.